Stress is normal and, to some extent, a necessary part of life. Despite it being something everyone experiences, what causes stress can differ from person to person. For instance, one person may become angry and overwhelmed by a serious traffic jam, while another might turn up their music and consider it a mild inconvenience. A fight with a friend might follow one person around for the rest of the day, while another might easily shrug it off. What's causing you stress may already be something you're abundantly aware of. But given the importance of keeping stress in check when it comes to mitigating the effects it can have on your physical and mental health, it's worth opening yourself up to the possibility that other factors may be at play, too. Craft your stress-reduction plan with all of them in mind. According to the American Psychological Association (APA), money is the top cause of stress in the United States. In a 2015 survey, the APA reported that 72 percent of Americans stressed about money at least some of the time during the previous month. The majority of the study participants reported money being a significant source of stress, with 77 percent feeling considerable anxiety about finances. Financial stress can take months or years to dig out from. In the long-term, stress related to finances results in distress, which may bring up blood pressure and cause headaches, upset stomach, chest pain, insomnia, and a general feeling of sickness. Financial stress has also been linked to a number of health problems, including depression, anxiety, skin problems, diabetes, and arthritis. According to the Centers for Disease Control and Prevention (CDC), Americans now spend 8 percent more time at work compared to 20 years ago, and about 13 percent of people work a second job. At least 40 percent report their jobs are stressful, and 26 percent report they often feel burned out by their work. 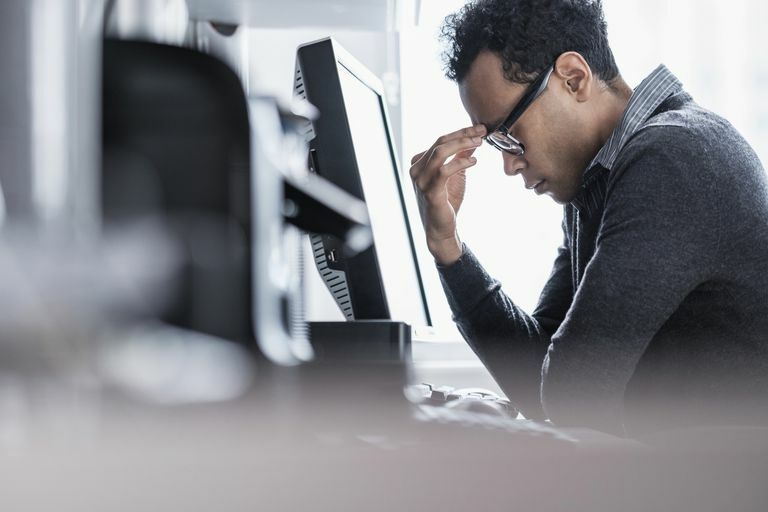 Any number of things can contribute to job stress including too much work, job insecurity, dissatisfaction with a job or career, and conflicts with a boss and/or coworkers. Whether you are worrying about a specific project or feeling unfairly treated, putting your job ahead of everything else can affect aspects of your life including personal relationships and mental and physical health. Factors outside of the job itself also have a role in work stress as well, including a person’s psychological make-up, general health, and personal life, including the amount of emotional support they have outside of work. There are people in all of our lives that cause us stress. It could be a family member, an intimate partner, friend, or coworker. Toxic people lurk in all parts of our lives and the stress we experience from these relationships can affect our physical and mental health. Sometimes personal relationship stress can also be related to our relationships with people on social media platforms, such as Facebook. For example, social media tends to naturally encourage comparing yourself to others, which can lead to the stress of feeling inadequate. It also makes bullying easier. Parents are often faced with managing busy schedules that include a job, household duties, and raising children. These demands result in parenting stress. High levels of parenting stress can cause a parent to be harsh, negative, and authoritarian in the interactions with children. Parenting stress can also decrease the quality of parent-child relationships. For example, you may not have open communication so your child doesn’t come to you for advice, or your child and you may argue often. Sources of parenting stress may include lower income, working long hours, single parenting, marital or relationship tensions, or raising a child who has been diagnosed with a behavioral disorder or developmental disability. Parents of children with behavior disorders and developmental delays are the highest risk for parenting stress. Numerous studies show parents of children with autism are reporting higher levels of parenting stress than people whose children do not have the condition. Day-to-day stressors are our daily inconveniences. They include things like misplacing keys, running late, and forgetting to bring an important item with you when leaving the house. Usually these are just minor setbacks, but if they become frequent, they become a source of anxiety affecting physical and/or psychological health. The stress of being too busy is getting more and more common. These days, people are busier than ever and that adds a lot of stress to their lives. In some cases, busyness is due to necessity, such as having to work as second job. Other times, it is due to guilt and not wanting to disappoint others. People may not say "no" and end up having little time for themselves, or they overlook their own basic needs, such as eating right and/or exercising due to lack of time. Your personality traits and the resources you have available to you tie into all of the above and can be independent sources of stress as well. Extroverts, for example, tend to experience less stress in daily life and have greater social resources, which buffer against stress. Perfectionists may bring stress onto themselves unnecessarily because of their exacting standards, experiencing more negative mental and physical health consequences than those who merely focus on high achievement. Those who are "type A" can stress everyone around them, including themselves. Those with enough money to hire help can delegate stressful tasks, so this resource can provide an edge over those who struggle to make ends meet and must work harder to save cash. Estes A, Olson E, Sullivan K, et al. Parenting-related stress and psychological distress in mothers of toddlers with autism spectrum disorders. Brain Dev. 2013 Feb; 35(2): 133–138. DOI: 10.1016/j.braindev.2012.10.004.